We understand that buying mineral makeup online can be frustrating. The colors are not always true-to-life, and it is hard to view texture. So please take advantage of our discounted sample sets so that you can find your perfect shades without commiting to the full size jars. 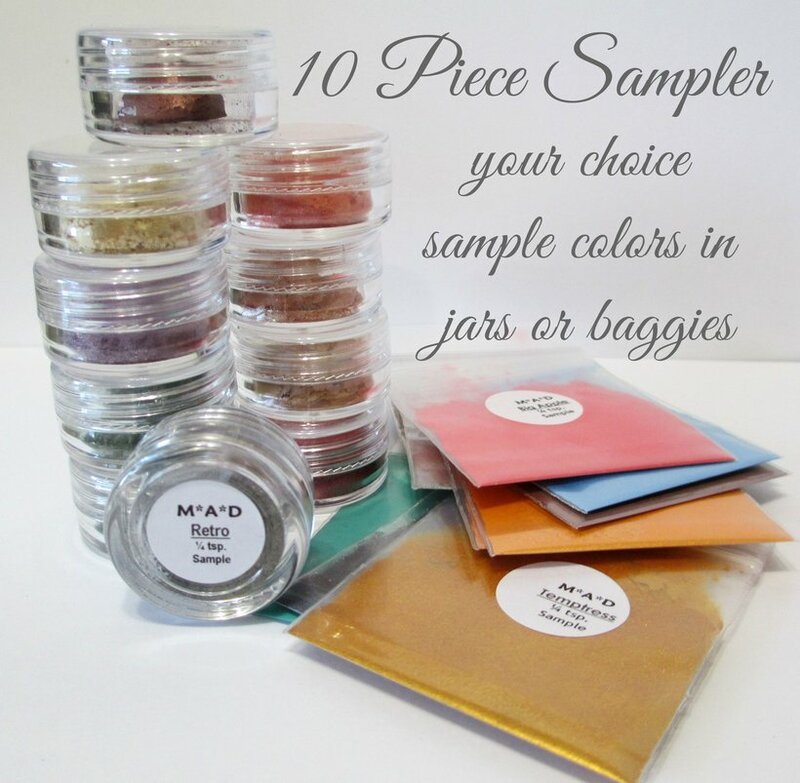 Your choice of 10 samples! 1/4 tsp Sample size of each shade. Please don't forget to enter your choice shades in the text box area BELOW!